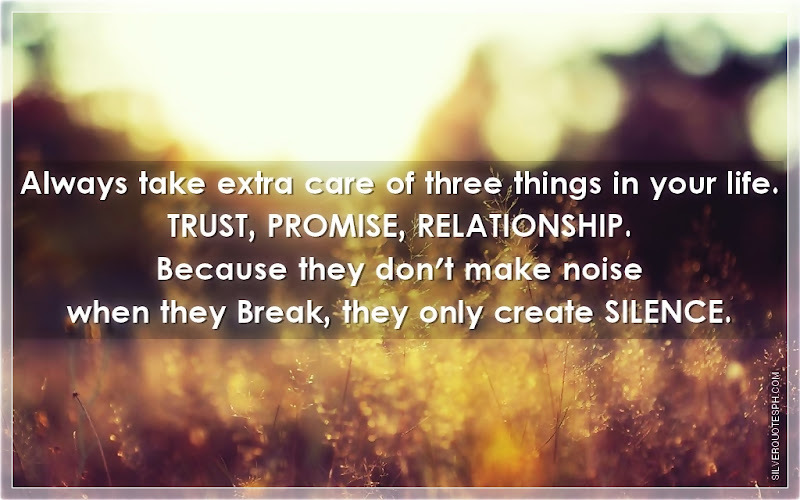 Always take extra care of three things in your life. TRUST, PROMISE, RELATIONSHIP. Because they don't make noise when they Break, they only create SILENCE.